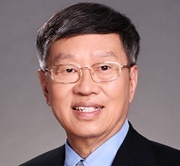 The Chief Representative for Clean Air Task Force in China, Dr. S. Ming Sung won the Bronze Stevie® Award for Executive of the Year - Non-Profit or Government in the management awards categories of the 2015 Asia-Pacific Stevie® Awards. The edition of the 2016 Asia-Pacific Stevie Awards, which are open to all organizations operating in the 22 nations of the Asia-Pacific region, will open for entries in October 2015. Find out how to get more information here. Clean Air Task Force (CATF), a nonprofit environmental organization based in Boston, Massachusetts, USA, believes that partnerships between companies in China and the West are crucial to accelerating the commercialization of low-carbon, coal-based energy generation. To that end, CATF is working in China and elsewhere in Asia to facilitate the development of joint business ventures between innovative energy companies and research institutions. CATF is represented in China by Dr. S. Ming Sung, its Beijing-based Chief Representative for Asia-Pacific. CATF and Sung’s efforts in China focus on developing partnerships and knowledge-sharing that build on the country's current leadership in low-carbon coal technologies essential to addressing climate change and energy security. Reliance on coal creates many challenges—along with some critically important opportunities. Energy companies in North America, Asia, Europe, and Australia have enormous experience and expertise working with coal, and are similarly motivated to develop technologies and techniques that will preserve a role for cleaner coal in a carbon-constrained world economy. - Decrease the world's carbon dioxide (CO2) emissions. The environmental and economic benefits of transitioning to clean energy will be smaller and slower to materialize if western and Asian companies do not work together. Investments by both countries will reduce the cost of that technology worldwide, increasing the likelihood that low-carbon technologies such as carbon capture, utilization, and storage (CCUS) will be widely deployed in time to help avert the worst consequences of climate change. Together, the U.S. and China account for about 40% of the world's CO2 releases. Both countries are heavily reliant on fossil fuels, so the challenges they face are the same: How to cut CO2 emissions without harming economic growth and national security. CATF therefore believes that in developing climate change solutions, the U.S. and China are natural partners, not rivals. Dr. Sung has worked with Chinese energy industry leaders to draft energy proposals. He serves as the Senior Economic Advisor to the Chinese city of DaQing, and has been a keynote speaker/moderator at many international conferences. China’s giant state-owned companies are taking the lead on these projects, and many also involve major international partners. “If CCUS is to succeed, the U.S. and China must share more technical information on clean-coal technology,” says Sung. China's thirst for cleaner energy and the targets established in its 12th 5-year plan are pressuring the major companies operating in China to ramp up their efforts to explore for natural gas in shale formations and rapidly scale up production. But haste may risk environmental degradation and adverse human health impacts as reported in the press (e.g. The New York Times article "China Takes On Big Risks in Its Push for Shale Gas" from April 11, 2014). CATF's vision is that by learning from the experiences of modern shale developers, China can leapfrog to more advanced, cleaner, safer practices proven in the U.S. This past year, CATF helped General Compression, an energy storage company based in Massachusetts, to partner with Huaneng CERI to develop a commercial demonstration facility in China. Dr. S. Ming Sung joined the Clean Air Task Force as its Chief Representative for Asia-Pacific shortly after the 2008 ACEII Roundtable event in Beiijng. An American citizen, Dr. Sung was born in Shanghai and is fluent in all three major Chinese dialects. He is well connected with China energy companies and relevant public officials, and has deep ties to the global coal gasification and large chemical/energy project development communities. Dr. Sung's experience and connections have proven a perfect fit with CATF and he has immeasurably expanded ACEII's ability to achieve its objectives. Dr. Sung's professional experience extends over 40 years in the energy and IT industries. He has worked for a handful of the world's leading companies and institutions, including Shell (where he spent 25 years), AspenTech, BASF, Monsanto, US DOE, and XinAo Group (a division of China's ENN Group). His experience covers management, engineering, operations, and marketing in coal, oil, chemicals and related areas. Dr. Sung earned his BS and MS in Chemical and Petroleum Refining Engineering from the Colorado School of Mines. His Ph.D. research was in asphalt rheology at the University of Florida. Clean Air Task Force is a nonprofit environmental organization with offices across the U.S. and in China. CATF works to help safeguard against the worst impacts of climate change by catalyzing the rapid global development and deployment of low carbon energy and other climate-protecting technologies through research and analysis, public advocacy leadership, and partnership with the private sector. For more information, please visit www.catf.us.